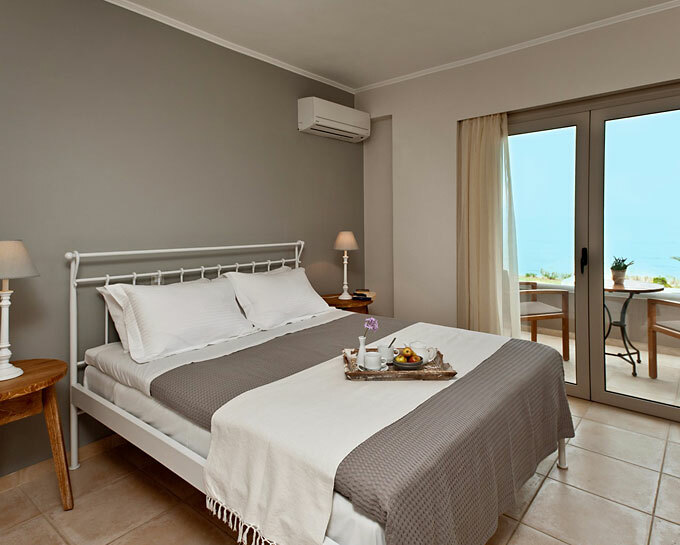 There are 2 sea front studios available in our hotel. 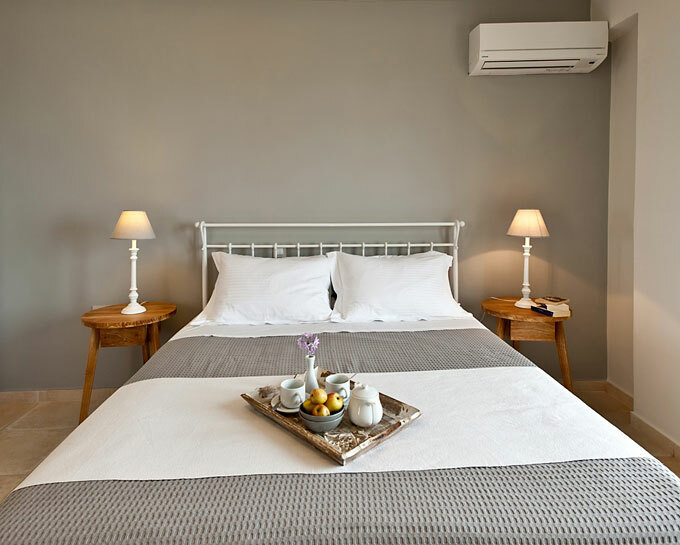 These rooms consist of area of 25 sqm with one big double bed. 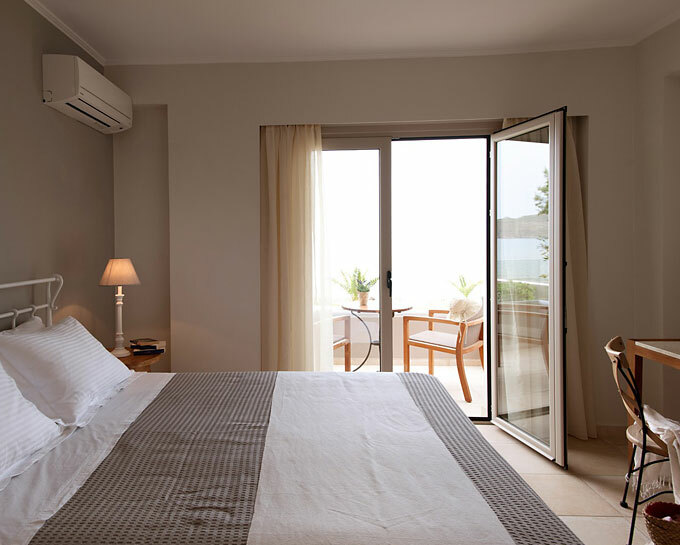 Moreover, they have a small fully furnished kitchen, spacious and functional bathroom with glass shower cabin and a furnished balcony with magnificent sea views. 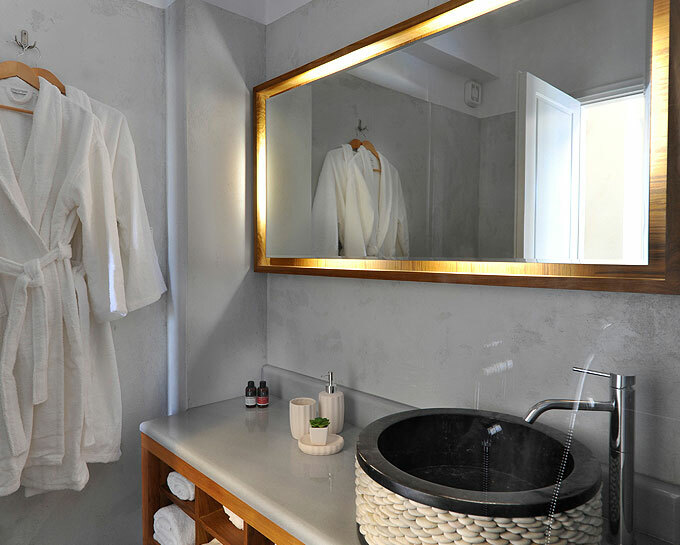 Robes, slippers, a hair dryer and cosmetic items are available to guests of this room type. There is also a flat TV. 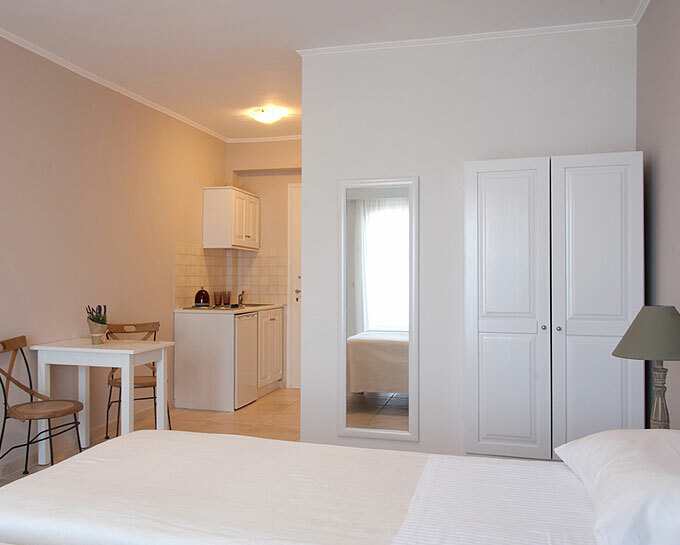 These studios are suitable for a couple or an individual.